Excellent for decorating and filling food. 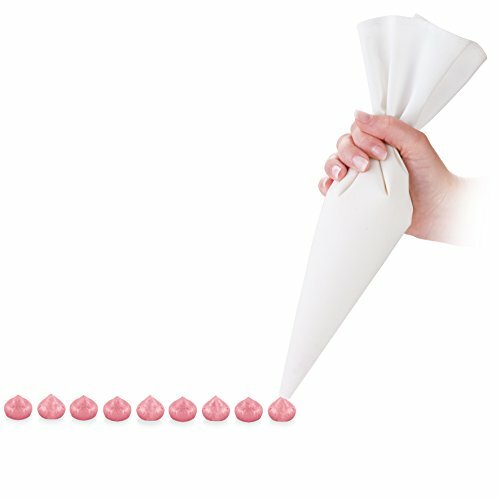 Suitable for use with Decorating nozzles DELÍCIA 21 pcs (art. 630496) or decorating directly from the bag. Made of high-quality, non-leaking cotton cloth. Wash the inside of the bag under running water before first use and after each subsequent use. If you have any questions about this product by Tescoma, contact us by completing and submitting the form below. If you are looking for a specif part number, please include it with your message. Lubimova.com Cookie and Craft Stencil set Merry Christmas N2, 6 pcs.